What is not to love? You sit down and the seat is heated. There are so many buttons to push, and me being a sworn-in button-pushingaholic, must push each and every one. Now this approach can be quite surprising and depending on where the water pressure adjustment has been set, can also be quite alarming—think drugstore enema (Fleet I believe). But oh how fun, they even have a button which makes an artificial flushing sound, just in case you want to have a noise louder than your bodily functions. I especially like this button as it is identified by a music symbol…I am now “in the know” that the sound of a flushing toilet is considered music! I have had a bit of trouble twice (well if I am honest, I had a bit of trouble often–everything is written in Japanese, of which I know zilch). The first time was when we visited a national shrine. The toilet situation was more ‘traditional’, I guess you could say. A porcelain hole in the ground. It looks quite like a male urinal and I had to go outside to “verify” I was in fact in the ladies restroom. Turns out I was but I still didn’t know how to maneuver the apparatus–the porcelain one and my own. I’ll enclose a photo (of the toilet only!). Well yesterday evening, while conversing with the wife of our host and the head buyer for men’s clothing for the Freak’s Stores, I had the opportunity to share my photos with them. As we were looking through the batch, the toilet from the shrine came up. I explained I had no clue how to use it, and thankfully my new male friend took it upon himself (while fully clothed mind you), to show me the proper “squat” method—turns out my “point and shoot” was all wrong! I must say, Tokyo is a beautiful city–day or night. And I will take their public restroom over any in America–hands, feet, and squatter down! As always, your mischievously comical wit brings out a good chuckle from deep within!! I am truly blessed to call you guys my friends!!! G-d Bless & carry on!!! Thanks Shawn, and doing our best! The lid to the toilet seat sprung up as if to say, “welcome,” not the seat itself…just the lid. You are too funny…your stories now help me understand the scene in Cars II when Mater goes into the bathroom stall in Japan – it was quite an adventure for him too 🙂 Love and Hugs to you!!! Oh now I must see that movie. I’ve only watched the 1st cars–didn’t even know there were more! Good to know you’ve found me here. Thanks for the support! Your writing is the best, Rivka. It brightens the most difficult day. You are too funny!! Actually Stacey had forwarded me your e-mail and I enjoyed it all then as well. 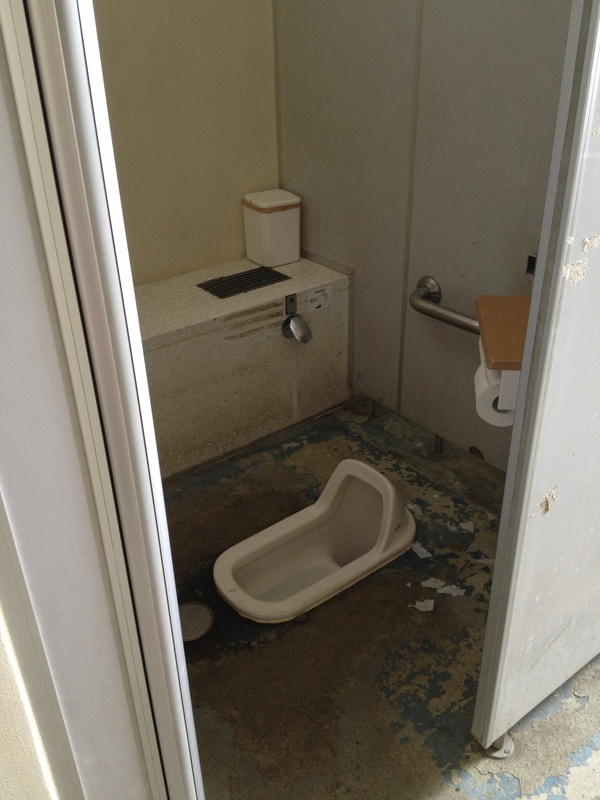 Well have been to Japan and other countries where the “facilities” are not what we are used too so I could totally relate. Don’t think I have seen your “push button” type yet and if I did I was probably too scared to “push away.” Glad you had a good trip and I will call you soon. Lots of love!! Wow, I think If I ever go to Japan, I’ll pee on myself before figuring out how to pee in the toilet 🙂 Hahahahaha! You are brave! I am the lucky one!! This is turly HILARIOUS! 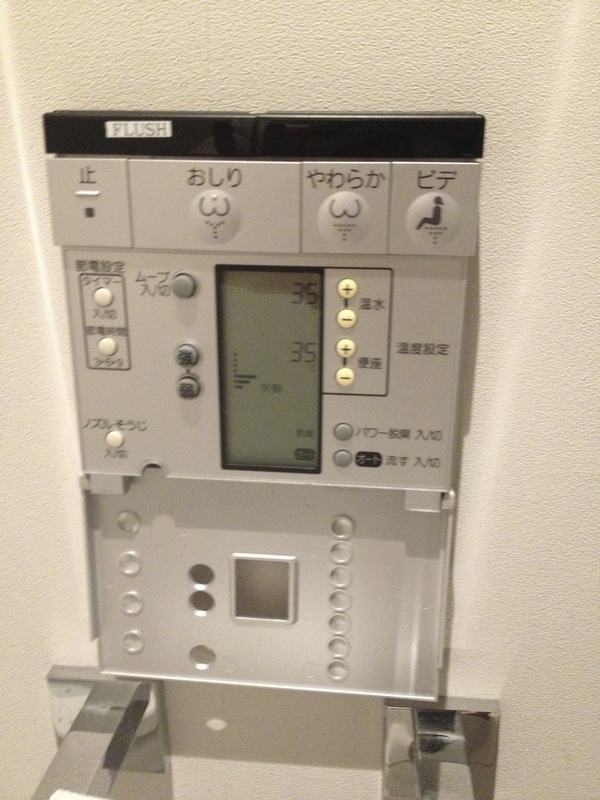 I too had my own personal experiences with the Japanese Toilets on a business trip in 2004! WILL NEVER forget it! LOL! I was in an ALL day meeting and I about DIED when I walked into the bathroom to see there was no toilet but a hole in the ground. I was pacing back and forth trying to figure out how in the heck I was going to get this done. I about burst inside out for another 3 hours until I found a “western toilet” in a gas station. I HAD to hold it, wsa completely afraid I would pee all over my pants if I had the “wrong angle”. All the guys accompanying me on the trip thought it was hilarious I wouldn’t use it! There have only been a few moments in my life I wished I was a man, and THAT was one of them! And lord, I LOVED the seat warmers!! How cool! XOXO! Glad to hear we have the samew humor when it comes to foriegn obstacles! Kim you are too funny!! …I knew I’d hear something from you on this one, and I am not disappointed! Thanks for sharing. P.s. I had a weird dream last night, you happened to be in it–Alice in Wonderland style!